Glass blocks have been increasingly popular in terms of architectural designs of houses and buildings. This is perhaps because of the fact that glass blocks are naturally stylish and elegant. In addition to that, glass blocks are very functional and can simply be used in many ways. 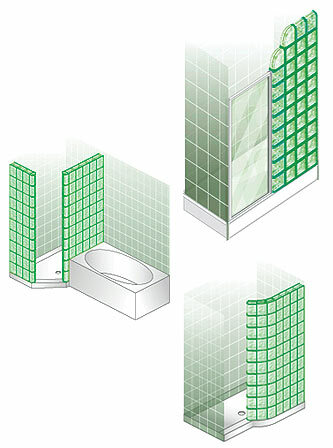 Glass blocks are commonly used particularly in the bathroom of households. 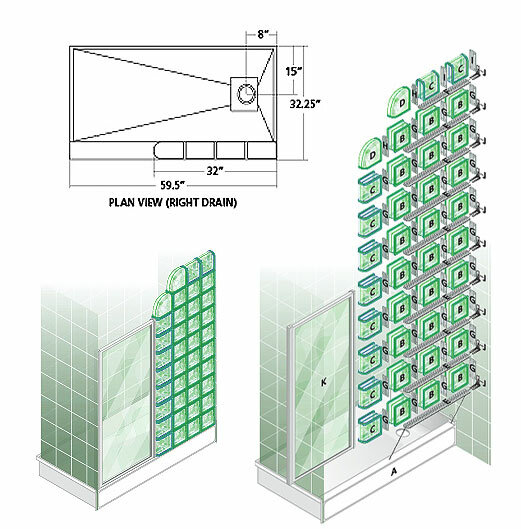 These glass blocks function great as shower walls since glass blocks are translucent. They are capable of providing privacy and at the same time, natural lighting to the shower area. This is the reason why glass blocks are considered to be cost effective in terms of energy savings. Glass block shower systems are capable of transforming the look of every bathroom. Depending on its design, it serves somewhat as a timeless and functional accent. Glass block showers can be installed in many ways, depending on how an owner would want his or her shower to be. For a dramatic bathroom effect, an ideal glass block shower design would be a glass block walk-in shower. What is unique about a glass block walk-in shower is the fact that it is designed without a door. A glass block walk-in shower eliminates the formality of a traditional bathroom as well as the typical or ordinary design of showers. Furthermore, this type of glass block shower design provides a certain sense of elegance and luxury to modern day bathroom. Another glass block shower type is an angled glass block design. This type of shower design is suitable for any bathroom corner. This is ideal for small bathrooms as this creates an illusion of a larger space. An angled glass block shower as well makes a good accent for small bathrooms. For those who want to keep it conventional, classic glass block showers are their option. The crystalline beauty of a glass block shower provides a timeless beauty to every bathroom design. The classic glass block design separates the shower area from other parts of the bathroom in an easy way since glass blocks are naturally easy to install.